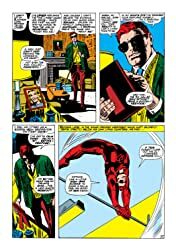 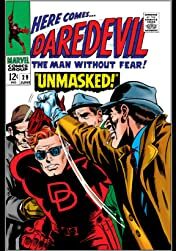 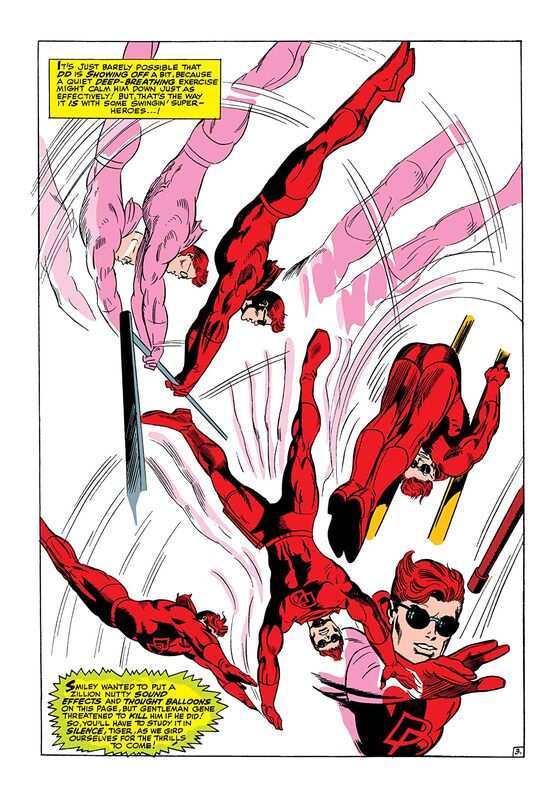 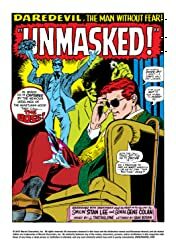 Daredevil unmasked? 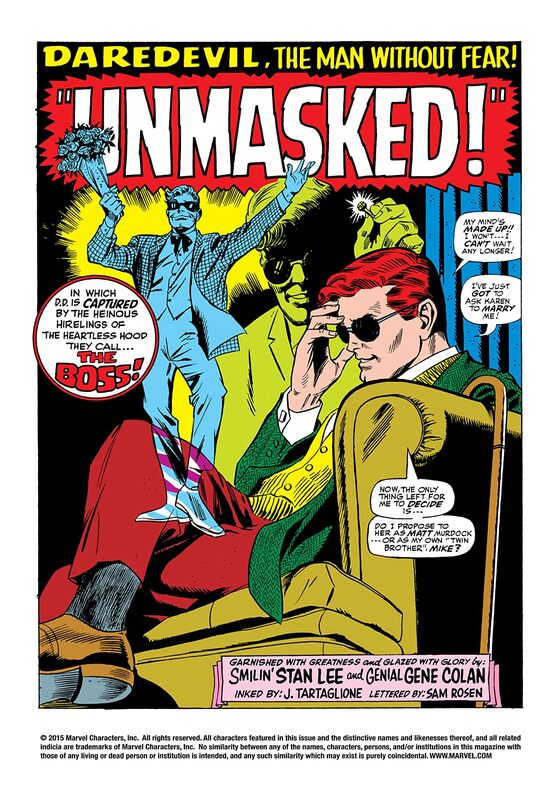 Matt nearly reveals his secret identity to Karen Page, but his plans are thrown off by Masked Marauder’s goons! 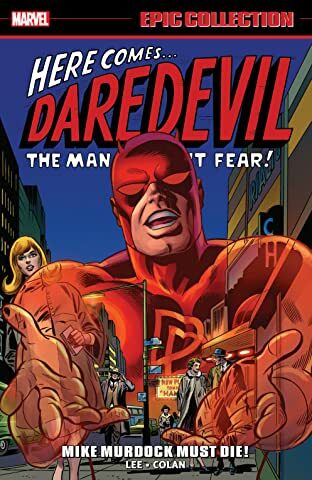 With Karen kidnapped, and Foggy in critical condition, will Daredevil be able to fight off Marauder’s men, and save the girl he loves?